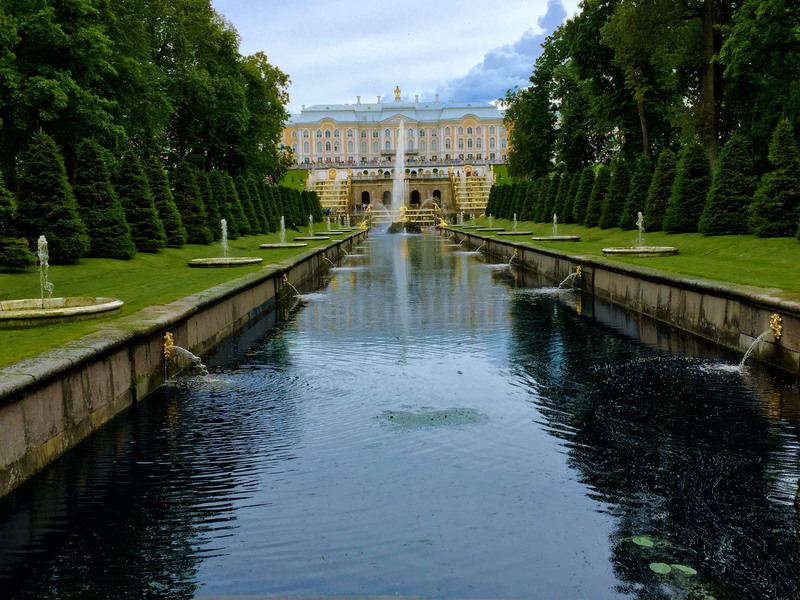 St. Petersburg is a beautiful city with a magical feel to it, the magnificent palaces, spectacular churches and the dreamy canals look like they have been plucked straight from the pages of a fairy tale. The best time to go is during the ‘white nights’ of summer and experience the glowing midsummer eves when the entire atmosphere of the city is nothing short of a festival. 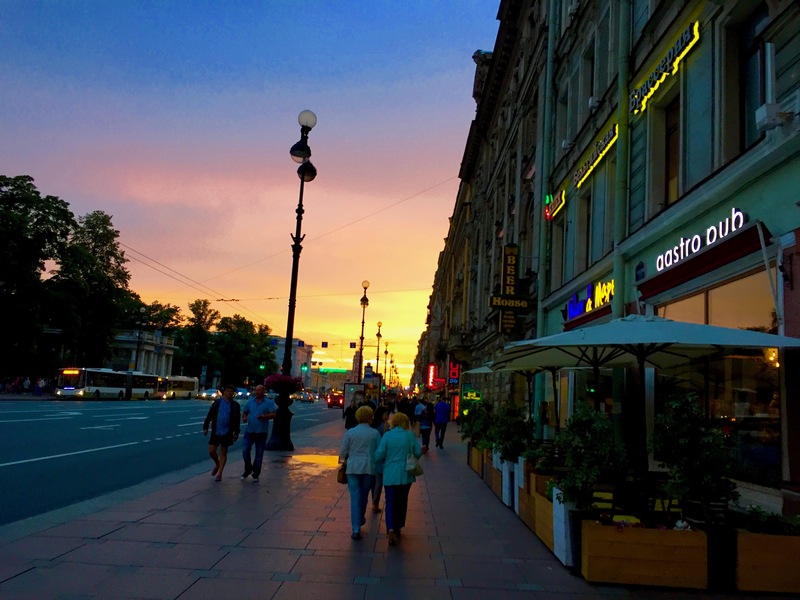 We stayed in an apartment situated at Nevsky Prospekt, which is the city centre and is a hub for all the touristy things like shopping, nightlife, entertainment. 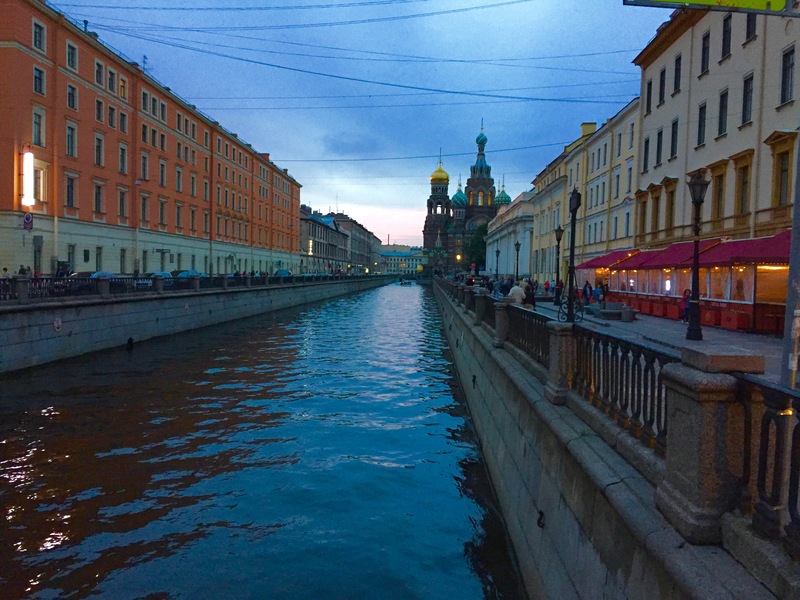 Also, there are several attractions like the Church on the Spilt Blood, the Kazan Cathedral, Canal boat rides, which are just a stone throw away. 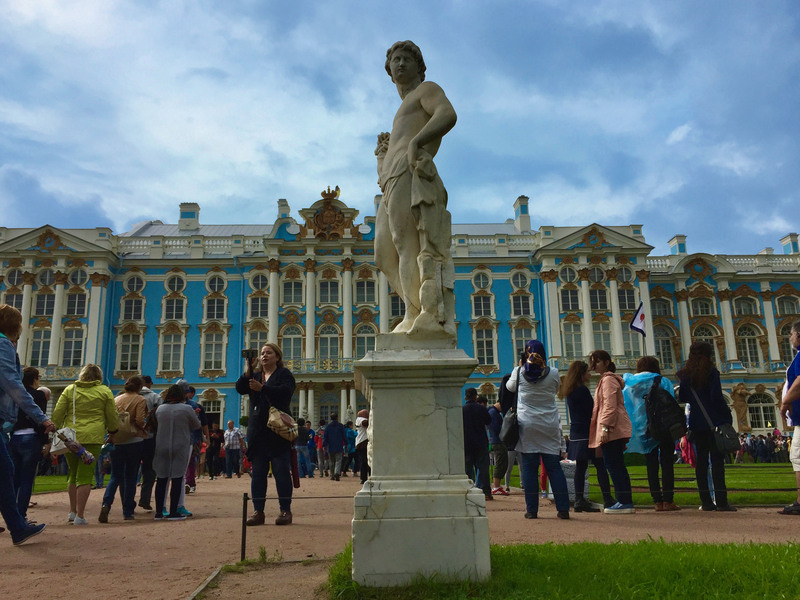 The Catherine Palace was our introduction to the Royal Russian opulence. The very facade is beyond pretty and what left us even more awestruck was the humongous line of people waiting to get into the palace. We also joined the line and after waiting at the same spot for at least half an hour realised that the chances of us getting in were very bleak. It’s a shame that we couldn’t see the palace from inside, but the huge garden estate and the pristine water bodies wiped away all our disappointment. 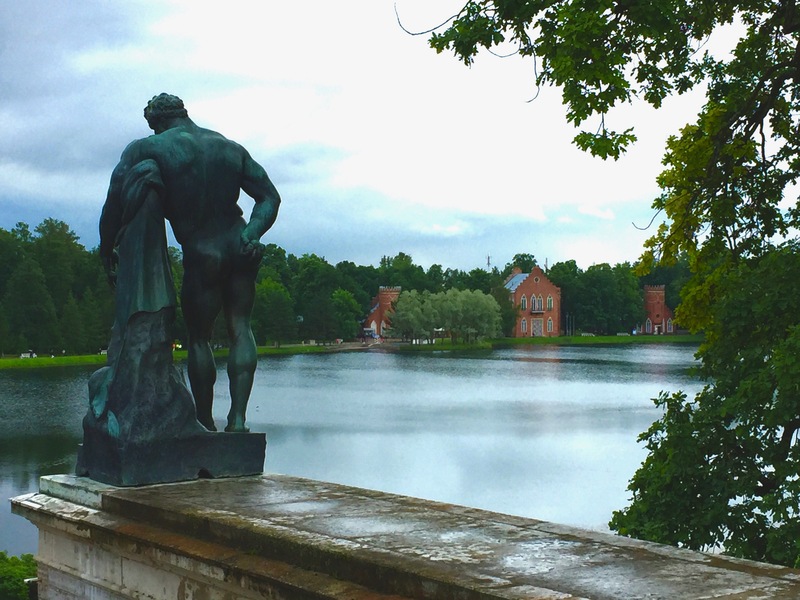 The Catherine Place is situated in a small little town called Pushkin, named after the famous poet. It’s about 40 Kilometres south of St. Petersburg and it takes roughly an hour and a half to reach there. 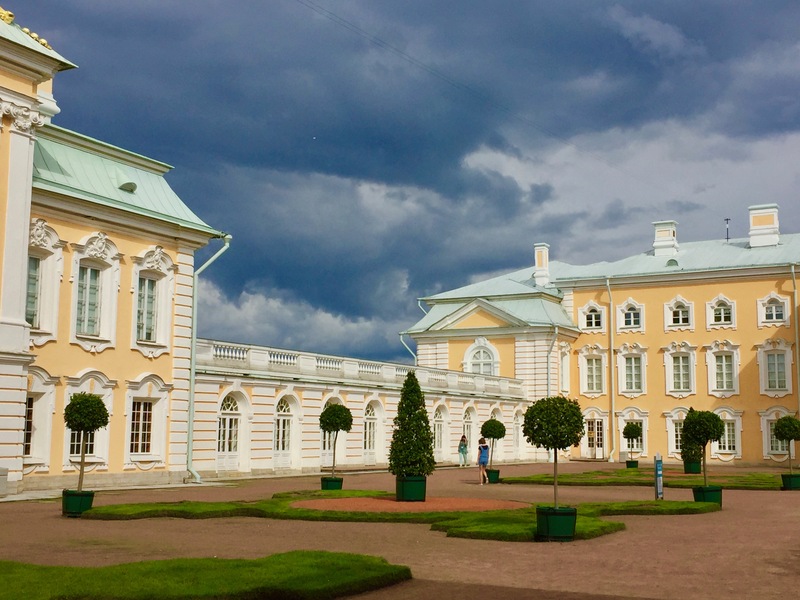 We took a metro from Nevsky Prospekt to Kupchino and from there a marshrutka (mini bus) to Catherine Palace. There are various Minibus options on this route, but the one which we took was No. K-286 . 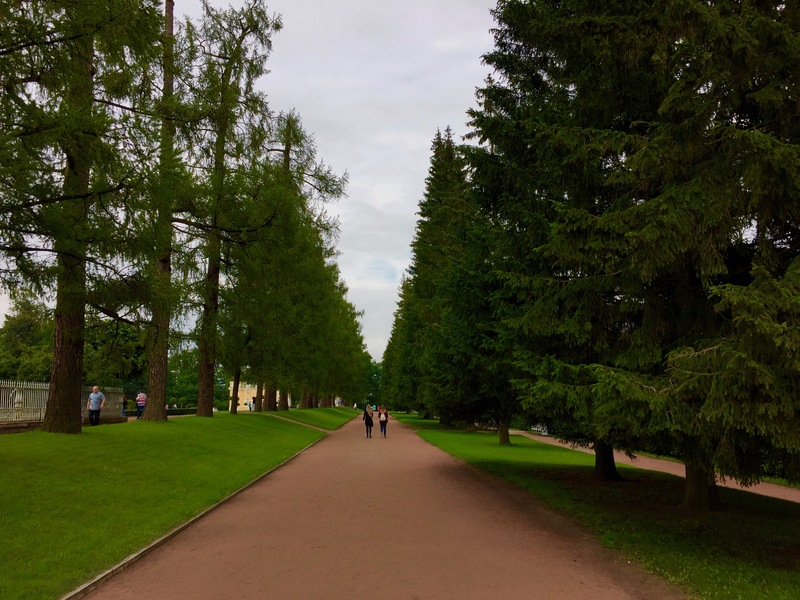 After spending a good 2 hours at the Catherine Palace we headed back to our apartment, rested for a while and stepped out at around 8:30 PM to be pleasantly surprised with the presence of daylight and decided to explore the city. We ended the day with a night boat ride and saw the bridge opening custom which is an absolute must. 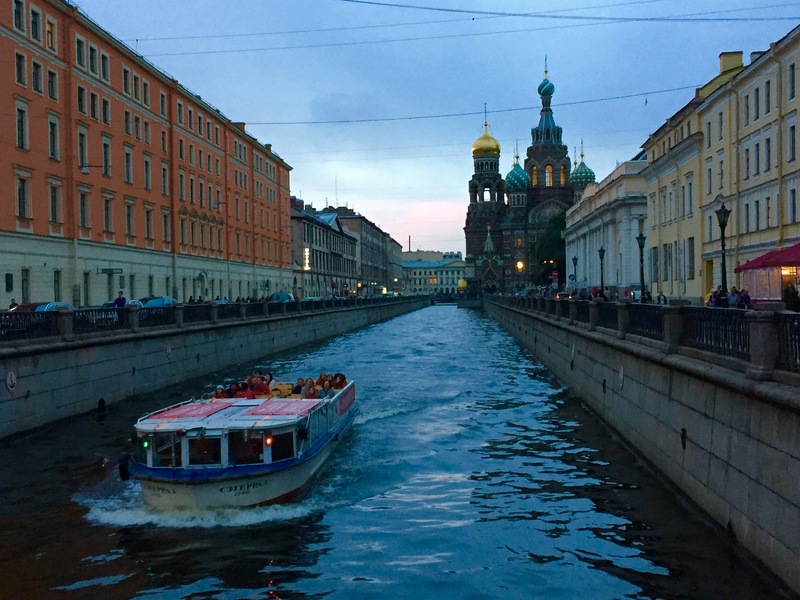 There are several river cruise tours to choose from, so no need to pre book, just walk to the Anichkov Bridge (The Horse Bridge) near Nevsky Prospekt and book a tour of your liking on the spot. 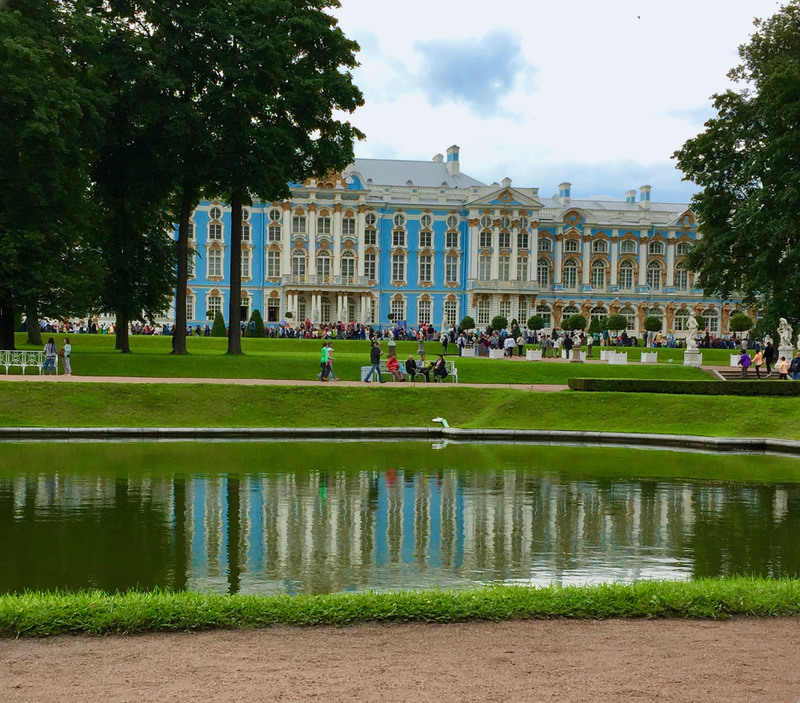 Not wanting to spend the day just in the gardens yet again we decided to wake up early and push off as soon as we could to the Peterhof Palace. 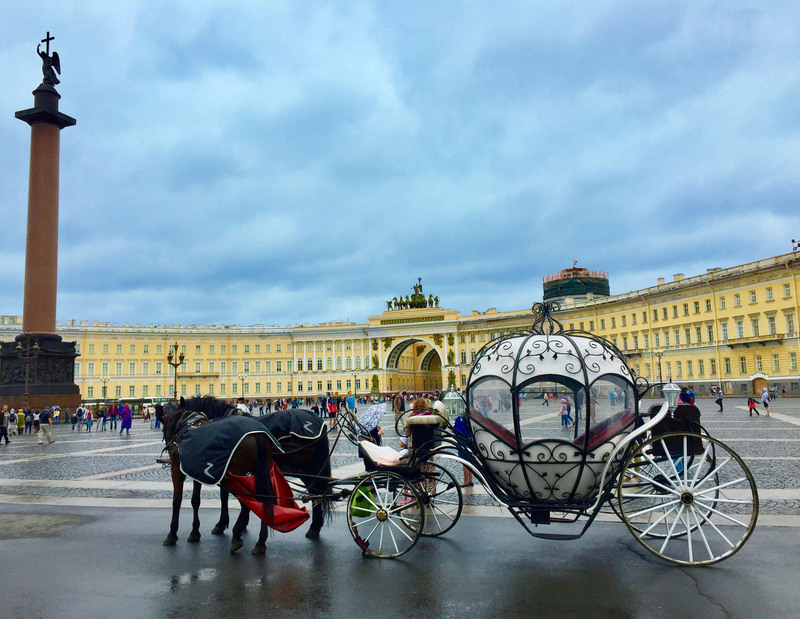 You can either take the hydrofoil to the palace (a little expensive, but a much more fun ride I assume) or you can save some bucks and take the metro followed by a Marshrutka ride to the palace. We took the M2 line from Nevsky Prospekt and changed to M1 at Tekhnologicheskiy Institut, got off at Avtovo and took K224 Marshrutka which drops you right at the palace gates. 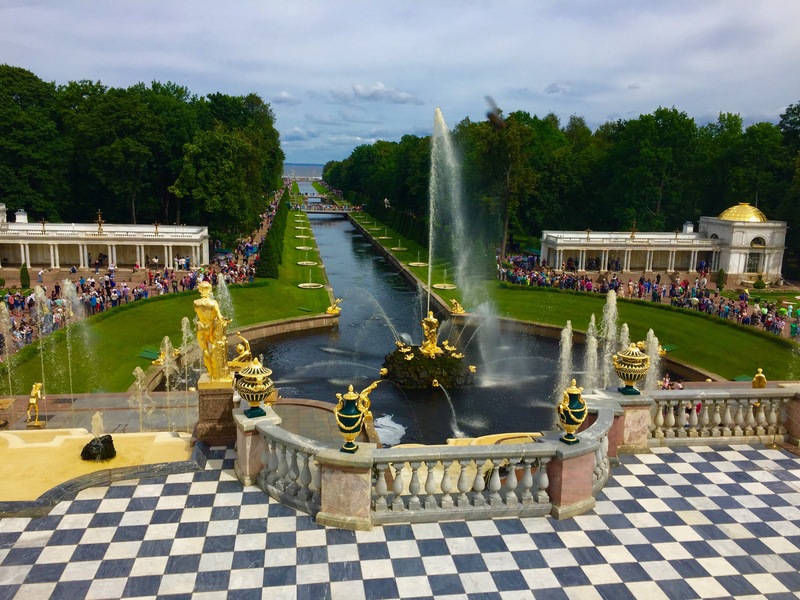 If you are going in the summer months, be prepared to queue up right from the Marshrutka stand to the Palace to buy entry tickets. You need to buy a couple of different tickets, so yes, it’s a bit confusing. 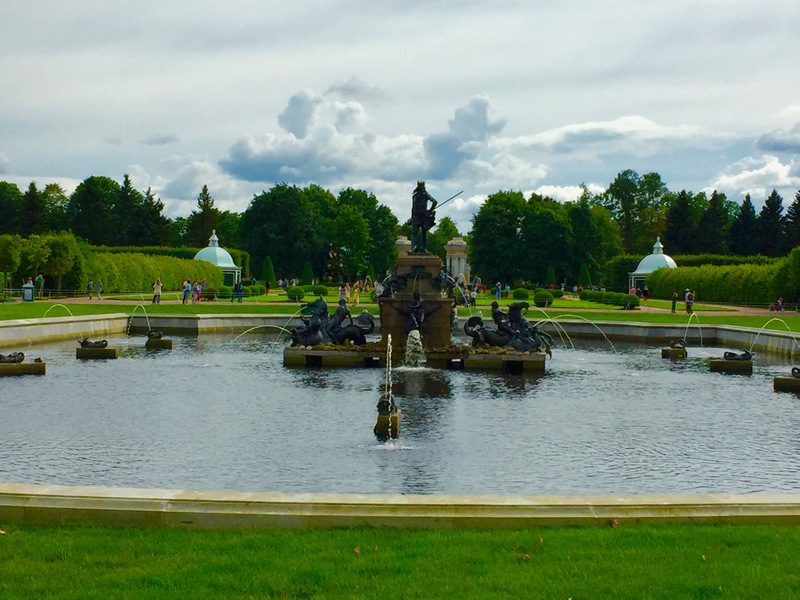 There is a separate ticket for the gardens and then once you are in the compound you must buy another ticket to visit the palace. But the views, especially outside of the palace are worth all the hassle I would say. 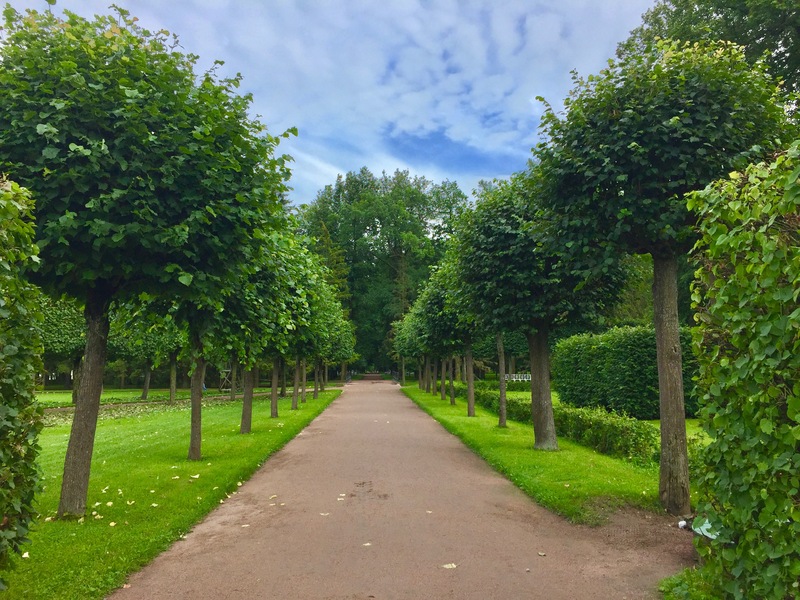 Upper park is free and if you take minibus you’ll be right there at its entrance and will walk through it to reach the lower park and the Palace. 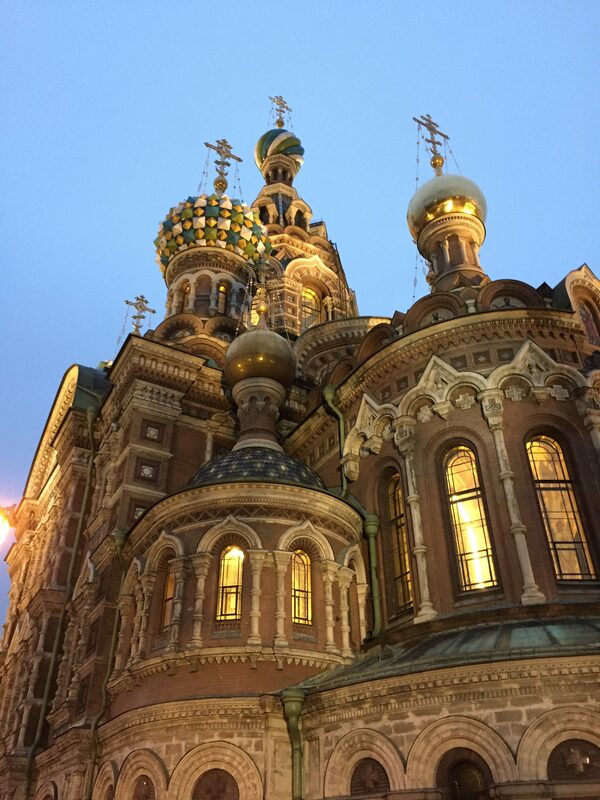 We concluded the day with strolling around Nevsky Prospekt, enjoyed the views of Church of the Savior on Spilled Blood and sealed the day with a lovely dinner at one of the several cosy cafes around the Nevsky Prospekt. 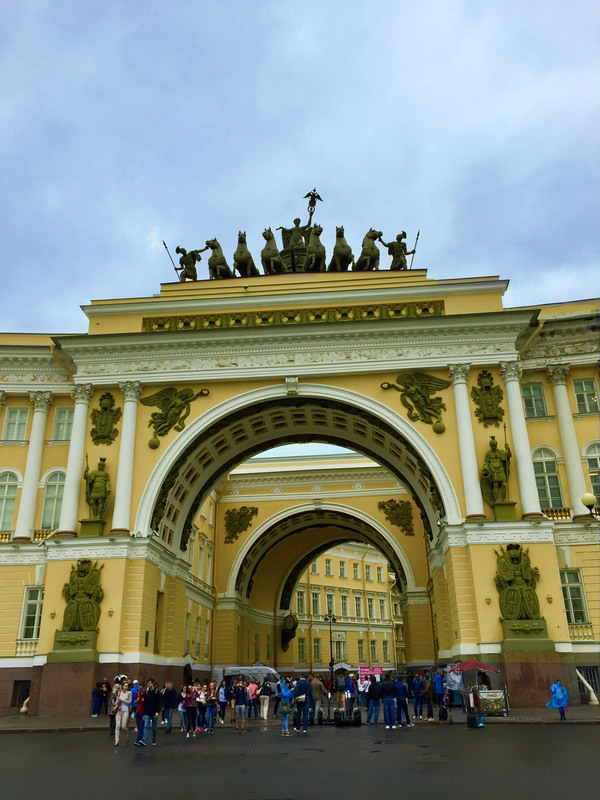 We did an early checkout and went straight to the station and used the locker facility to deposit our baggage and decided to go on a self-guided walking tour of the remaining wonders of the city like the Kazan Cathedral, Bank Bridge, State Hermitage and the Winter Palace and St. Isaac’s Cathedral. 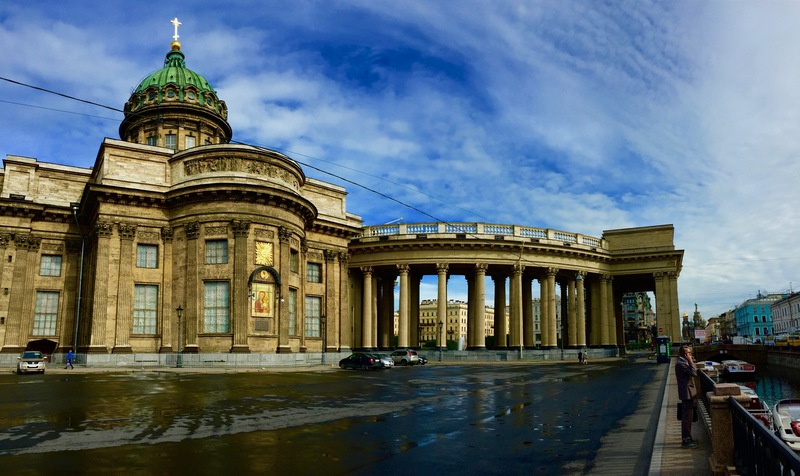 Kazan Cathedral – Since we had started our walk early we couldn’t go inside the Cathedral but were really impressed by its exteriors. 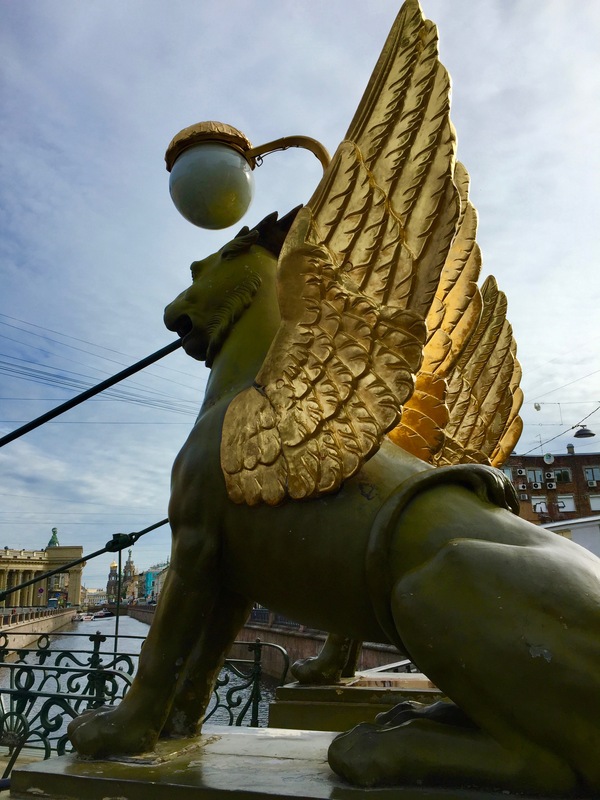 Bank Bridge – Just a stone throw away from Kazan Cathedral this pedestrian bridge over the canal with its four gryphon looks absolutely gorgeous and the view of the Spilled Blood Church from here is magical. 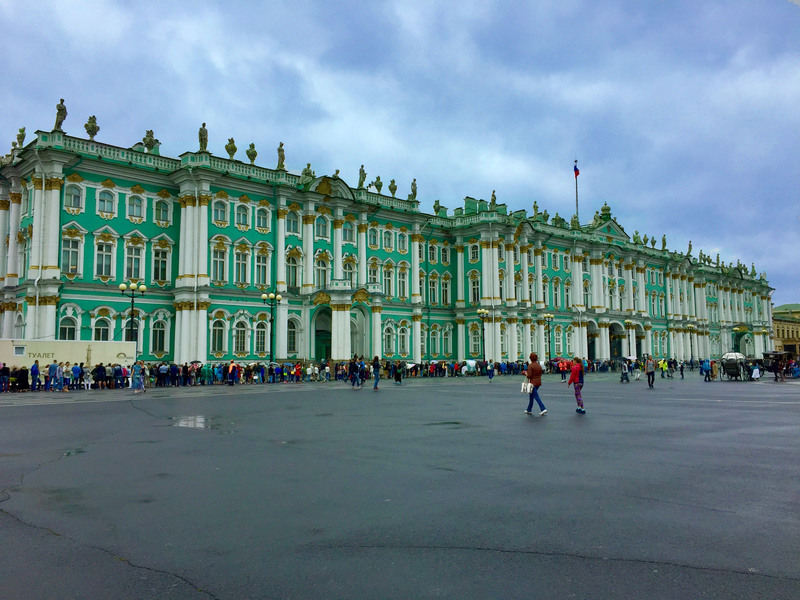 State Hermitage and the Winter Palace- Another sneak peek into Russian Extravaganza, the exteriors are jaw dropping but getting in to see the interiors can again be very frustrating during the summers because of the huge crowd. We did line up and managed to see the interiors but wasn’t the best experience as it was very crowded and we had very limited time at hand, so everything was very rushed up. Well, we did find out later that apart from buying the tickets from the counter one can also buy it from the ATM style self- vending machine or you could just simply get the tickets online in advance. In my opinion, if you really want to enjoy and appreciate the history behind this palace and the museum you need a complete full day. St. Isaac’s Cathedral- The day we visited the church was shut but we were absolutely swept by its overpowering exterior structure and the great columns, not to mention the brilliant 360-degree view from the rooftop which according to us was far more impressive and exciting (because you can feel the wind blowing right into your face) than any other observation deck we have been to. It is 200 steps climb up a spiral stair case and the tickets were very nominally priced and very easy to purchase from a self-vending machine. 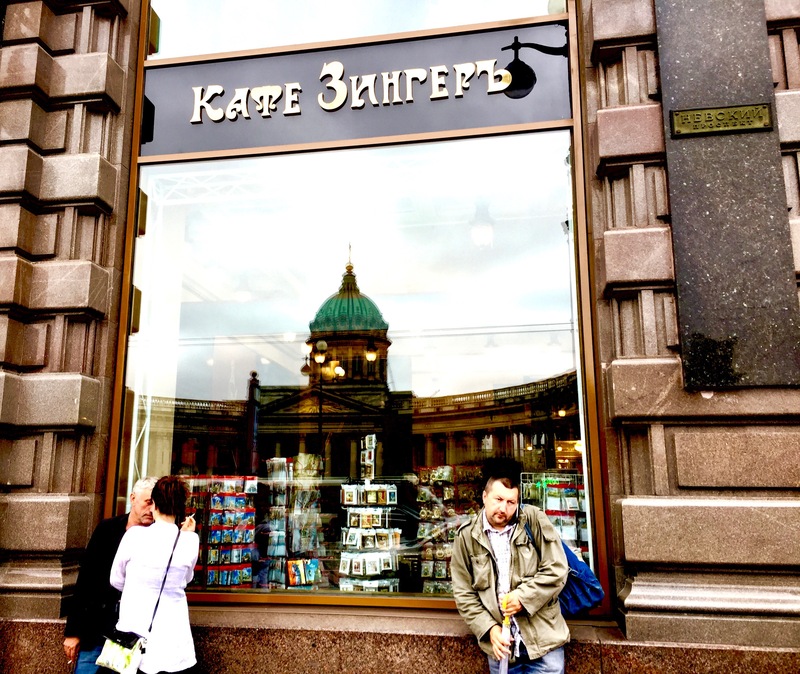 Souvenir Shopping- There is a wide range of memorabilia that you can buy in Russia, we did buy some Gzel pottery and vodka in Moscow however from St. Petersburg we bought some lovely postcards from a book store in Nevsky Prospekt. For lunch, we decided to taste the delicacies of Georgia. Click here for a detailed review. And post our lunch we headed back to the station got our luggage back from the lockers and headed back to Moscow. Wow — those buildings! So elegant. Thank you so much for reading…I’m glad you liked the post. It’s a beautiful place…a must visit if you get the chance. you have brought my memories of being in St Petersburg flooding back. Though I must say, I was very lucky as back in 94 there were no real queue’s! I didn’t get out to the palaces outside the city though so another trip is a must. Thanks for reviving thoughts a lovely trip. 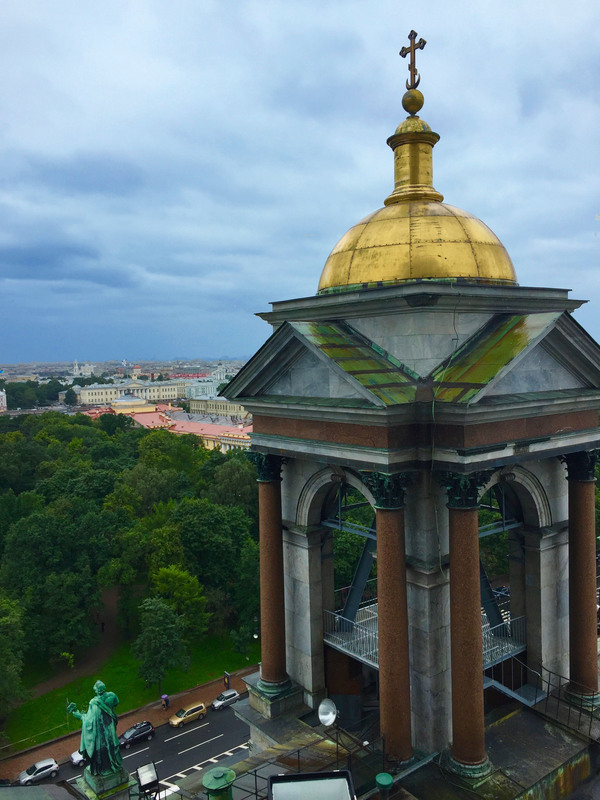 Thank you for taking me to St. Petersburg through your lovely images and words Ankita. The “Russian Extravaganza” look so fabulous and it seems that you and Karan both had an amazing time!